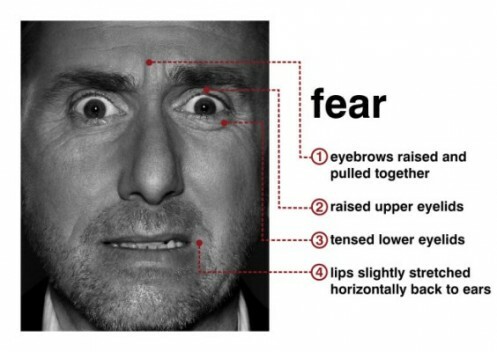 Facial muscles make involuntary movements when the body is under stress. The small size of these muscles plus the rapid movement makes these difficult for the untrained eye to see. Lasting only 1/25 of a second, the face has been shown to express the universal emotions: anger, contempt, disgust, fear, happiness, sadness and surprise. 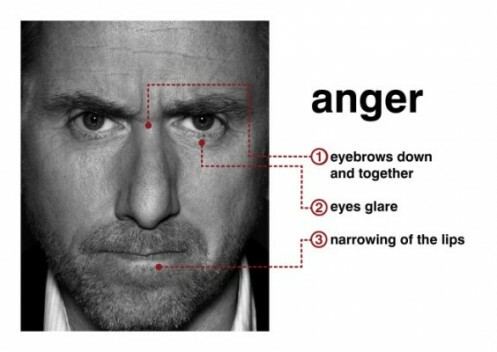 Learning to see this rapid expression and putting the correct emotion on it is the key to microexpressions. Several methods of improving your skill have been developed. 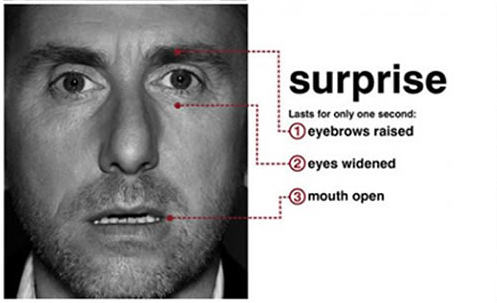 Facial Action Coding System (FACS) is a project to code emotions to facial microexpressions. Developed by Paul Ekman and Wallace Friesen in the mid 1970’s, FACS has produced a list of emotions and facial muscles involved. Interestingly, animators have found this list to be useful in making their characters more life like. Joseph C. Hager, one of the founders with Ekman has a popular “manual” and course that teaches students how to recognize and understand microexpressions. 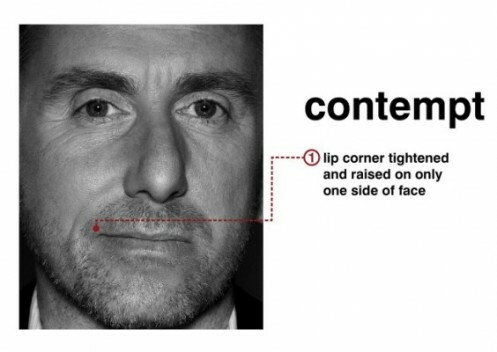 Learning to see faster and understanding of human facial physiology are an important part of facial microexpressions. Information about the history and purchase of the FACS program can be found on Dr. Ekman’s Website. 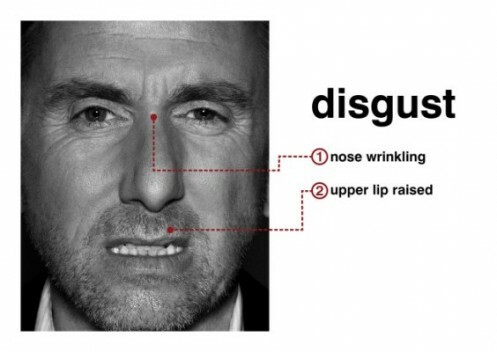 An excellent test of your ability in microexpressions is available on the CIO web site. Dr. Paul Ekman has led the field in this research and is actively still producing training tools to help others read and use nonverbal communications on his website. In 2008-2009 a television show was launched called “Lie to Me” based on the research of Dr. Ekman. 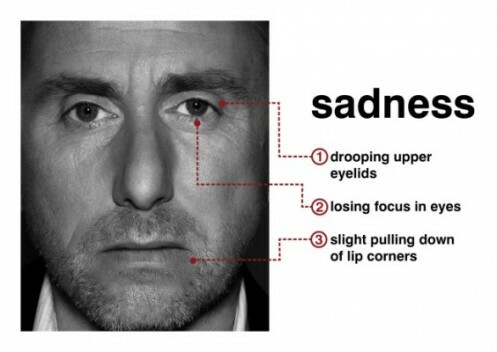 “Lie to Me” is based on the science of microexpressions but with the Hollywood drama that makes good television. 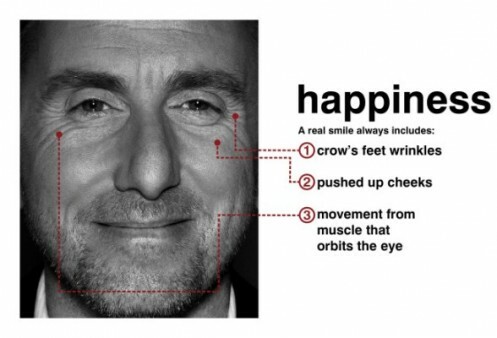 Some excellent pictures portraying microexpressions by Tim Roth (Dr. Cal Lightman on the tv series) are shown below.